A yellow peach with an occasional red blush. Flavor is good, and flesh is very firm. Similar to Elberta, Veteran is freestone and an old-time favorite canning variety. 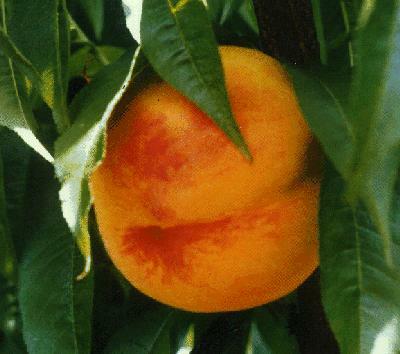 Skin is quite fuzzy, but slips off easily when the peach is briefly put into boiling water. Ripens mid- to late August in the Willamette Valley.